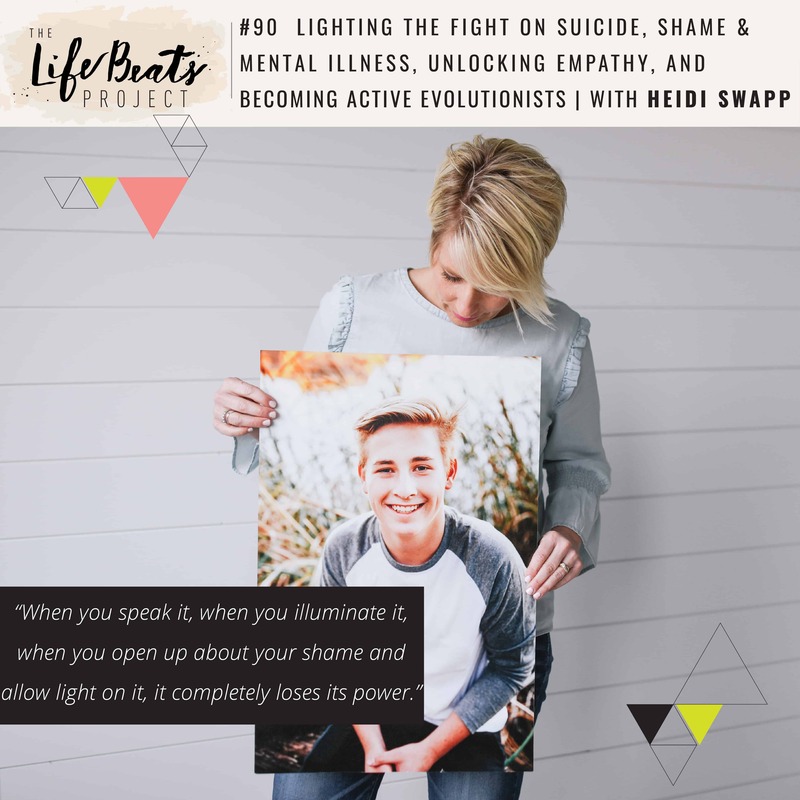 On today’s episode we talk with Heidi Swapp about bringing light to our shame, unlocking our empathy, tools to create healthy relationships, and how we can become evolutionists, really putting into practice the things we learn. This episode is so touching, so real, and so raw. Heidi is a highly successful & rather hilarious creative entrepreneur whose products line your favorite DIY stores. She shares her own experience with facing her failures early in her career and opens up very tenderly about losing her 16 year old son to suicide. She shares how when we talk about our shame, it brings it to light and it loses its power over us. She talks about the inspiration for her podcast “Light the Fight” and the importance of talking about those things we would rather not talk about: the struggles with mental illness, depression, and suicide. She shares universal tools that she learned from her therapist David Kozlowski, the co-host of the show, that she wishes she would have known years ago as a parent. Information is power and this podcast is directed toward anyone in a relationship who is willing to work on themselves first. She talks about becoming active evolutionists as we choose to evolve and put those things into practice that we actively seek and learn. Listen and be inspired to light the fight against shame and mental illness, create healthy relationships, and become active evolutionists, putting into practice the things that we learn.